If you live in the beautiful area of Mornington Peninsula then you also know that during winter the importance of heating duct system goes higher as we all want warm air in freezing temperature. We provide duct cleaning and repair service in Mornington Peninsula and surrounding areas. 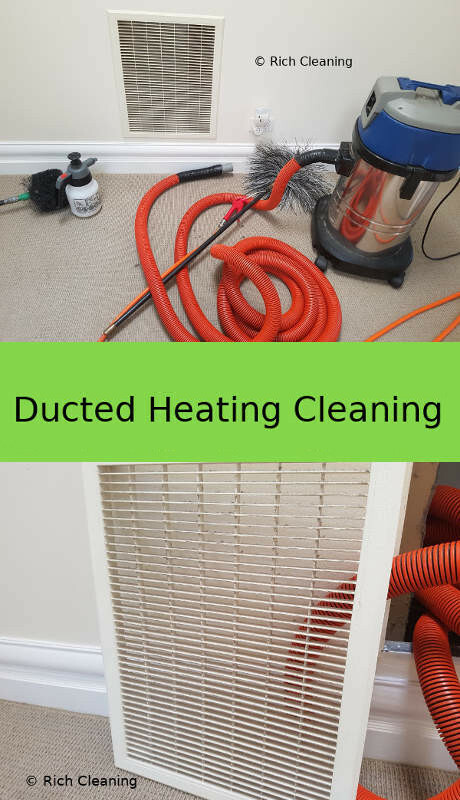 Rich Duct Cleaning is a trusted name in the cleaning industry for providing professional, reliable ducted heating cleaning in Mornington. We help to improve the air quality in your home by doing high pressure duct cleaning. We improve duct efficiency and save on power bills. We remove dust from ducts, and enhance duct performance, we are expert in dealing with allergens, bacteria, germs, dirt, and pollutants in the duct system. Ducts accumulate dust and some dead bugs over time and you have an issue with a bad smell coming out of your duct system. And if it is not cleaned then it can block the quality air flow in your home. Professional duct cleaners from Rich Cleaning can provide you with an awesome experience in Mornington. We help to improve the quality airflow and save on your power bills. Don't miss out on special discount!!! If you are looking for the top of the line duct cleaners in bayside area then we can help. If you are located in any suburbs of Mornington like Arthurs Seat, Balnarring, Balnarring Beach, Baxter, Bittern, Blairgowrie, Boneo, Cape Schanck, Capel Sound, Crib Point, Dromana, Fingal, Flinders, Hastings, HMAS Cerberus, Main Ridge, McCrae, Merricks, Merricks Beach, Merricks North, Moorooduc, Mornington, Mount Eliza, Mount Martha, Pearcedale (part), Point Leo, Portsea, Red Hill, Red Hill South, Rosebud, Rye, Safety Beach, Shoreham, Somers, Somerville, Sorrento, St Andrews Beach, Tootgarook, Tuerong and Tyabb then you should contact us as we can get to your place in no time. Our professional will inspect your ducts and will advise you on the condition. Technician travels in a van with tools including high power vacuum system to take dirt, dust and germs out. Technician can also check your duct system for any repair work may be required to ensure you get best out of your system. Cleaning and maintenance is done with extreme care as they are trained in a professional manner. We also provide free carbon monoxide test after cleaning duct systems. Domestic and Commercial We provide service to both domestic and commercial customers based on their needs. We get regular jobs from real estate duct cleaning jobs in Mornington Peninsula. And our main customer base is normal domestic. We also have a special discount for seniors living in Mornington Peninsula. If you are thinking about how much it may cost to clean your ducts then call us now and get a free quote. Just to help you understand, factors which impact the cost to clean is the number of ducts you may have in your home and also whether they are located in ceiling or floor as they need a different way of cleaning. You may find may cheap duct cleaners in Mornington but if you are after quality then don’t go with that very cheap option as they are to believe. We believe in doing quality jobs and our prices are affordable.